300 North Forest Rd., Williamsville, NY. From The Ashes is a groundbreaking new documentary that goes beyond the rhetoric of the “War on Coal” to explore the energy transition emerging from the response to climate change. It is a compelling look at the lives and issues to include a heartbreaking look at stake for our economy, health and climate. Learn more about an industry on the edge and what it means for our future. WNY is a part of the coal story as witnessed locally in the closing of the NRG Huntley Plant and its impact on Tonawanda. 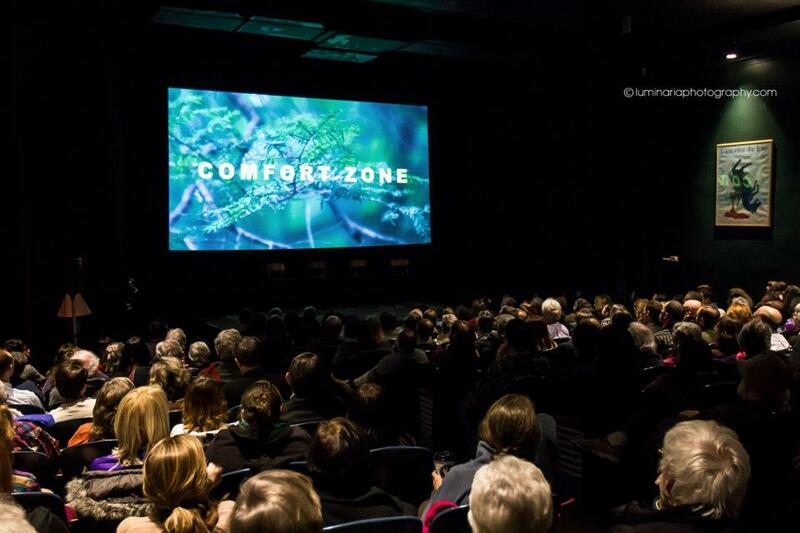 The film will be followed by a discussion led by David Alicea, President of the Board of New York Interfaith Power and Light and organizer for the Sierra Club. Break Free Albany May 14, 2016 – THANK YOU to All who made the trip with us for an Inspiring Day of Action as we marched and rallied on the tracks to say no to bomb trains and fracked gas infrastructure! Aaron is from Schenectady, NY, and is an epidemiological-spatial analyst with the New York State Department of Health. His background and experience includes more than three decades of environmental activism and over 25 years as a Sierra Club volunteer leader where he has worked diligently for environmental justice. Join us as we strive to care for our common home and move Western New York toward a sustainable future. As shown in this recent Buffalo News article much is being accomplished by various religious communities. Let’s multiply these great endeavors by coming together to share ideas as we forge ahead for climate justice. We will also hear from local climate activist and interfaith minister Sandy Chelnov. She will share her exciting experiences during the UN Climate Talks and tell the story of how our scroll of Climate Justice Pledge signatures was delivered at the talks in Paris! Money in Politics: How Can We Take Back Our Democracy? We’re in a “fight with big money for the soul of our country,” says Zephyr Teachout, a noted expert in constitutional law and political corruption, and a 2014 candidate for governor of New York. Come hear her thoughts on purging money from politics, and empowering ordinary citizens like us to reclaim the representative government we deserve. What better way to celebrate Constitution Day! Doors open at 6:30, program at 7:00 p.m.
Can We Solarize Our County Now? Yes, We Can! Here is How to do it! We heard a great presentation about the imperative of “Just Transitions” from Erin Heaney, Executive Director of the Clean Air Coalition. She acknowledged the imperative to move off fossil fuels to address climate change, but addressed how the move can impact workers and communities unfairly and the responsibility and solutions to address this. The Blake Reeves Award to the Buffalo Public Schools – In recognition of the Solar Power Purchase Agreement (PPA) The Solar Array will have solar panels on 20 Buffalo Public Schools. We particularly recognized Paul McDonnell, Director of Facilities Planning Design and Construction, Jason McCarthy of the School Board, and Richard Steinberg, a Sierra Club Member. Large volumes of explosive Bakken oil are being transported by tank rail cars. The oil comes from North Dakota and much of this oil is destined to refineries on the east coast. 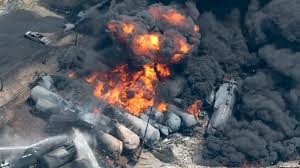 This year, North America is averaging one Bakken oil train derailment per month and each derailment results in multiple explosions and fires. Many of these Bakken oil trains travel through densely populated urban areas such as Buffalo, NY on their eastward journey to Albany NY or Philadelphia, PA.
Sandy Steubing, lead organizer for People of Albany United for Safe Energy (PAUSE), is on an Upstate New York tour lecturing about the many “bomb” trains coming through Buffalo and Upstate NY. She will focus on the environmental justice of those living near the rail tracks, and the effects of extreme energy extraction on climate change. Sandy began her activism in the early 1960’s in San Francisco. She brings with her a huge depth of knowledge to bear on the many dangers posed by the Bakken oil trains. Sponsored by the Renewable Energy Task Force of the WNY Peace Center, Mothers Out Front (Rochester), and Food & Water Watch. With mounting evidence of climate change, the importance of determining which is the most effective residential solar energy production incentive program in the United States is increasing. comparing the solar net metering programs with the proposed and utility prepared “Value of Solar Tariff” programs. Emily Gibson has just completed her Masters degree in Planning from University at Buffalo with a focus on energy policy. The issue of explosions and devastation resulting from transporting oil via trains is in the news lately – find out what it’s all about and what the local dangers may be. Apex Energy is holding an Open House from 4PM – 7PM at the Barker Fire Hall at 1660 Quaker Road, Barker, NY. Come and learn more about the Lighthouse Wind Project proposal that is just beginning for the Lake Ontario Shoreline. The nearly released DOE Wind Vision Report, quantifies the economic, environmental and social benefits of a robust wind energy future and the actions that wind stakeholders can take. Conceived and directed by Oscar-Nominated and Emmy-Winning filmmaker and activist Josh Fox, The Solutions Grassroots Tour: “A Solar Home Companion” combines classic storytelling and great music with roll-up-your sleeves organizing to look at the impacts of fossil fuel development and provide a vision for developing renewable energy like no other event on the planet. 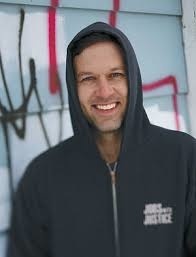 Aaron’s topic will be: Energy Democracy! What can we learn from Germany? Aaron recently traveled to Germany and witnessed entire communities that produce, maintain, distribute, and sell their own renewable energy. 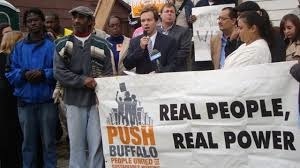 Let’s hear what he learned and how PUSH Buffalo sees it applying to WNY! Dr. Katharine Hayhoe Tuesday, February 17 at 8:30 pm in the Center for the Arts Recital Hall, Houghton College. We are going to Albany to celebrate the hard work of fracktivists across the state & to hold Gov. Cuomo accountable, and to thank Gov. Cuomo for his leadership. 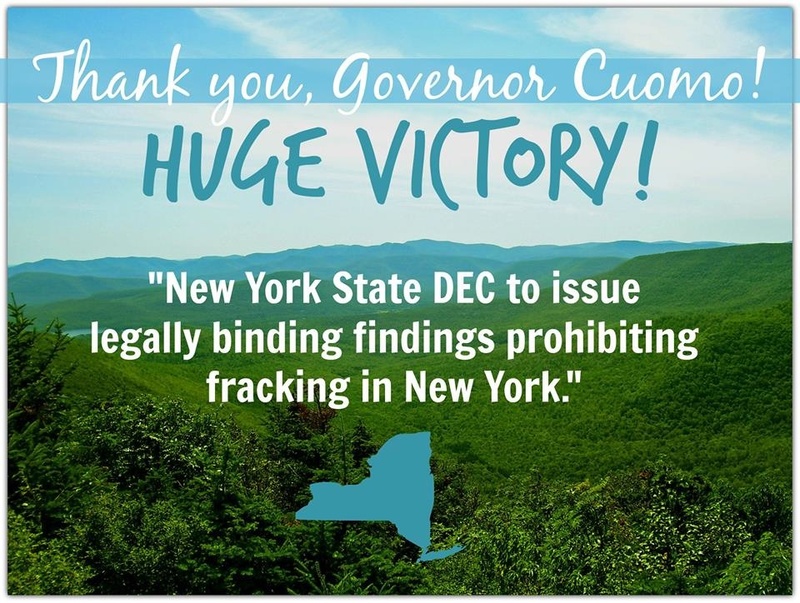 More importantly, we will be there to push the Governor toward the next step which is investing in renewable energy in NY so that we do not fall victim to fracking due to fossil fuel needs in the future. THANKS TO ALL OUR MARCHERS FOR JOINING US FOR AN AMAZING DAY OF CALLING FOR ACTION ON CLIMATE CHANGE! …and a huge thank you to our generous supporters! Sierra Club and local unions provided broad support of The People’s Climate March in New York City on September 21, 2014. Over 400,000 people attended! Locally, several unions contributed to the cause including SEIU 1199, Buffalo Teachers Federation and Public Employees Federation (PEF) Region 1. A special thanks to the United Healthcare Workers East, SEIU 1199, for their generous contribution of $2500 to provide bus transportation and scholarships to students for the round trip between Buffalo and NYC. Above, SEIU Vice President Todd Hobler (center) is presenting the check to Larry Snider, Treasurer of the Sierra Club Niagara Group while Chair Lynda Schneekloth looks on. THANK YOU 1199!! Victory for Our Endorsed Candidates! An immense thank you to our members who phone banked, walked door to door, wrote letters to the papers and sent out mailings for Marc Panepinto! 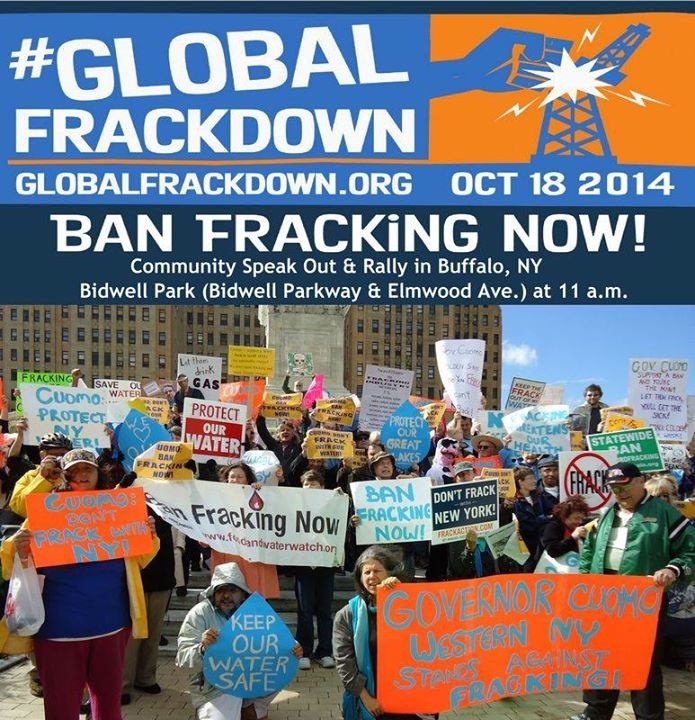 BUFFALO, NY (Saturday, October 18) – Over 100 Buffalo residents, artists, and health and climate experts joined activists around the world to speak out against fracking as part of the Global Frackdown today in Bidwell Park. The Buffalo event was part of a worldwide day of action, with communities across the globe organizing rallies against fracking. Residents in Buffalo called for Governor Cuomo to protect their health and safety and enact a statewide ban on fracking. On Thursday, members of the Concerned Health Professionals of NY renewed their call for the governor to consider the growing body included in their Compendium of the scientific, medical, and media findings showing the risks and harms of fracking. Last month the People’s Climate March in New York City prompted 400,000 people to demand solutions to climate change, which means stopping harmful practices such as fracking. In Buffalo, residents continued the call for investment in renewable energy toward Governor Cuomo instead of furthering fossil fuel development by allowing fracking. Saturday’s events included a morning rally with local experts discussing the growing body of evidence connecting fracking to harmful health outcomes, a community speak-out opposing fracking, and music and entertainment. “Andrew Cuomo can be remembered as the Governor who banned fracking, or as the Governor who poisoned our state. Science and New Yorkers are on the side of a ban; big money is on the side of fracking. As Franklin Delano Roosevelt said, ‘a nation that poisons it’s soil poisons itself,’” added Zephyr Teachout, Fordham Law Professor and noted activist. Sponsors of the Global Frackdown in Buffalo included Sierra Club Niagara Group, PUSH Buffalo, NYPIRG at Buffalo State, Food & Water Watch, New Yorkers Against Fracking, Citizen’s Campaign for the Environment, Western NY Peace Center, Western NY Drilling Defense, Protecting Our Water Rights (POWR), and Nurse Rise – Nurses for Safe Water. The Frackdown also featured music and performances by local artists opposed to fracking, including The Nickel City String Band, My Rap Name is Alex, Dave Harter, Tyler Wescott, and Active Hope. The Global Frackdown will unite concerned citizens everywhere for a day of action to send a message to elected officials in our communities and across the globe that we want a future powered by clean, renewable energy, not dirty, polluting fossil fuels. The journey to a renewable energy future will not be fueled by shale gas. Climate scientists warn that continued extraction and burning of fossil fuels will lead to catastrophic climate change. Cosponsors include Sierra Club Niagara Group, PUSH Buffalo, NYPIRG at Buffalo State, Food & Water Watch, New Yorkers Against Fracking, Western NY Drilling Defense, and more! Massachusetts Avenue Project, community garden, is holding a press event as they break ground for an new Farmhouse & Community Food Center. They are looking for your help and support! Go to http://mass-ave.org for more information. Northtown Plaza between Alberta Dr. and Niagara Falls Blvd. TIME: Begins at 5:45pm and dinner buffet will be served at 6:30pm. COST: Dinner is Dutch treat. It will be a dinner buffet with vegetarian options and cost approximately $25 including tax and gratuity. How can a Homeowner put Solar on their Roof? The Sierra Club Niagara Group and UB Office of Sustainability are sponsoring an informational session on Solar Home Installation. 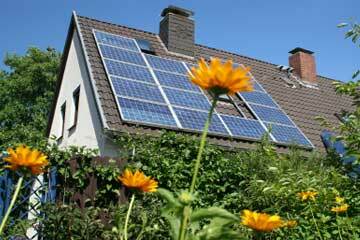 Hear about the benefits of a solar panel installation on your home. Have your “how to” questions answered. Presentation by local installers: CIR Electric, Frey Electric and Solar Liberty. The Public Service Commission (PSC) is currently deciding whether to repower the Dunkirk and Cayuga coal-fired power plants with natural gas or to opt for more environmental and cost effective transmission system upgrades, efficiency, and renewables. There will be presentations by NRG and National Grid with Q&Q from 6-7. Public testimony will follow at 7 pm. There is so much agreement that natural gas is the wrong choice (for environmental, fracking, cost, consumer benefit reasons) that the Business Council, the Sierra Club, and seven other environmental organizations submitted joint comments to the PSC urging the transmission upgrades, efficiency, and renewables over natural gas, Needless to say, the Business Council and enviros rarely issue joint statements. Senators Maziarz, Young, and Nozzolio quickly requested a public hearing in Fredonia which the PSC granted. The Sierra Club — and others — have submitted about 2,000 public comments opposing the natural gas conversion. We need a strong presence at the Fredonia hearing so that Senators Young and Maziarz will hear our voices in support of cost-effective and more environmentally friendly options like renewables, infrastructure, and efficiency. This hearing can set the stage for future victories and give a public victory to fracktivists and renewable energy activists. Actions are needed to Protect our Waters from contaminants that could last millions of years and for which there are NO SAFE LEVELS! Join the 2/17 Forward On Climate Rally! JOIN THE LARGEST CLIMATE RALLY EVER!! Sierra Club Niagara Group has chartered two buses–seats are going fast! Leaving Buffalo at 11:15 pm of February 16 and returning late Sunday/early Monday after the rally. unemployed, and low income folks.